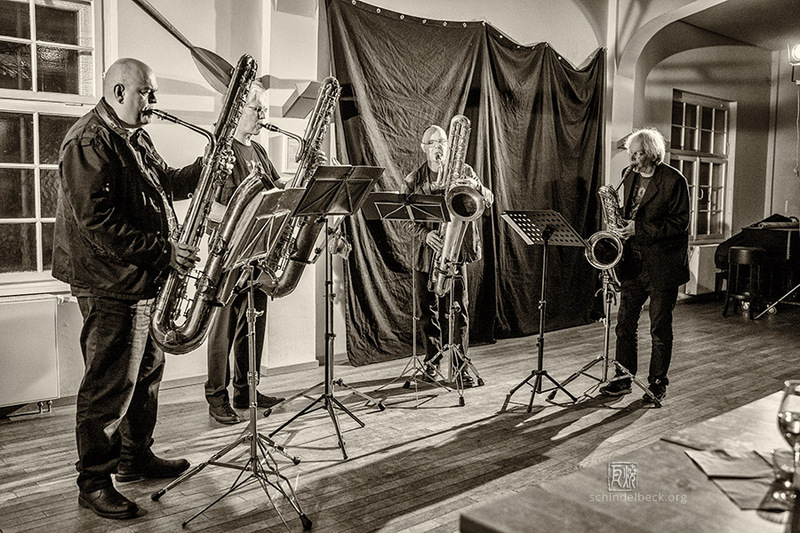 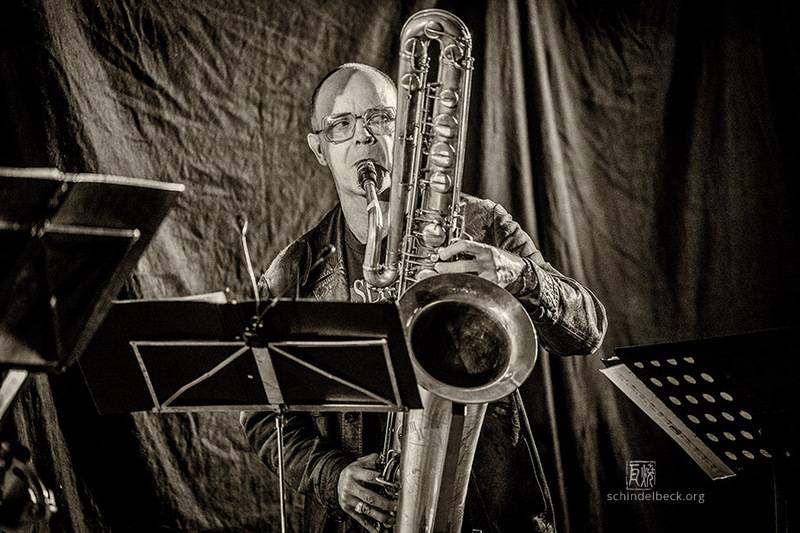 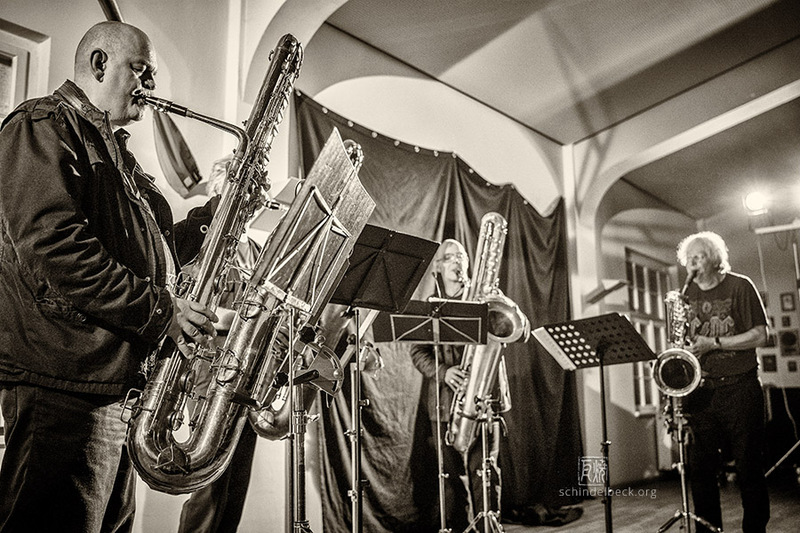 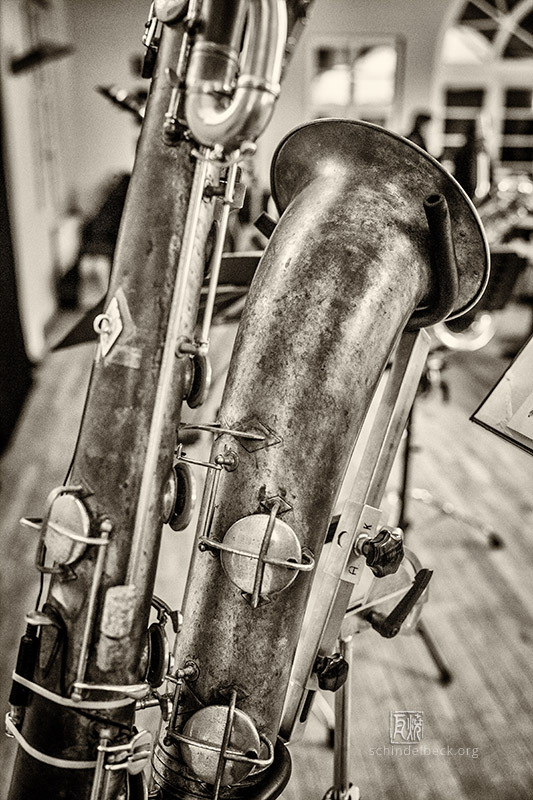 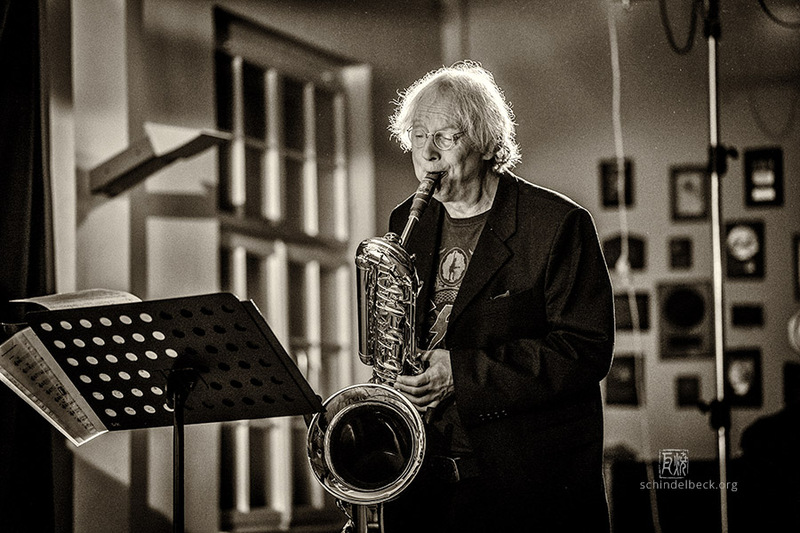 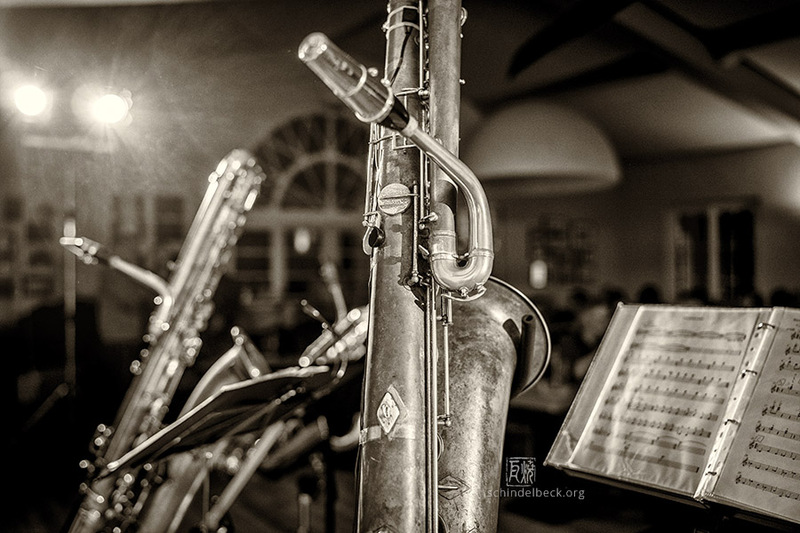 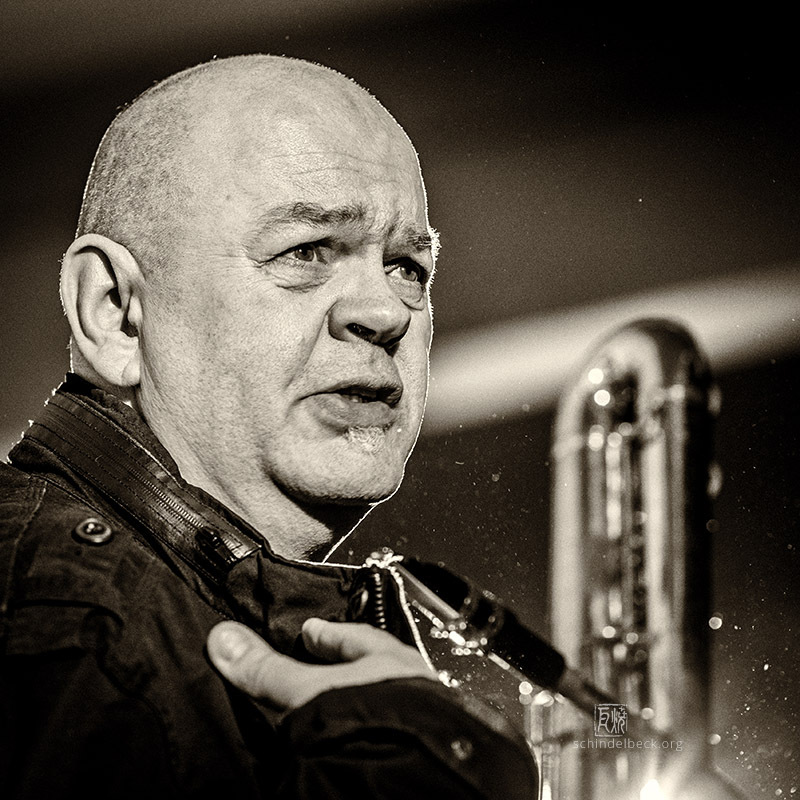 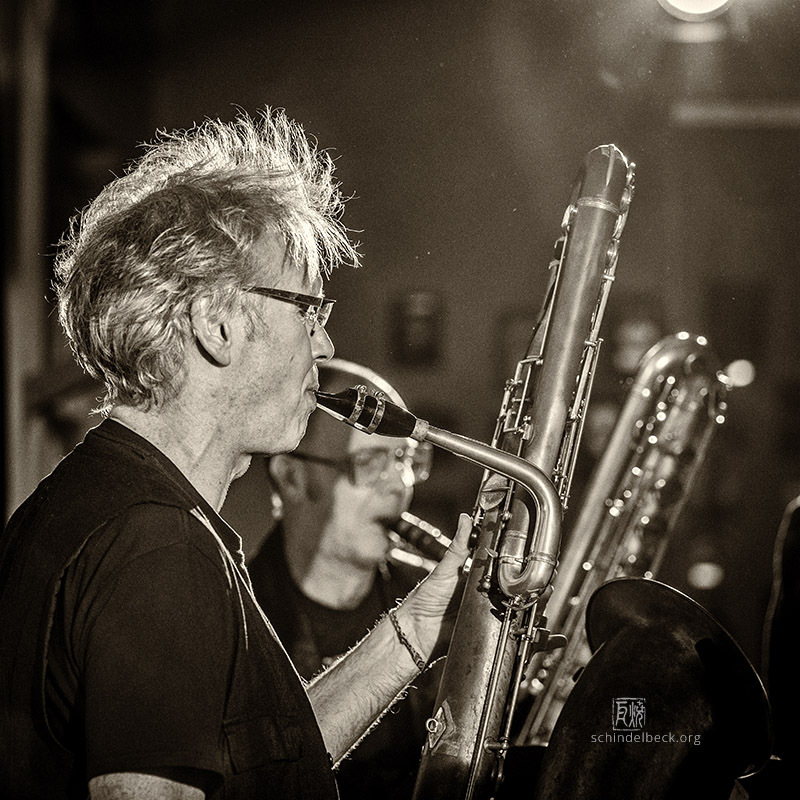 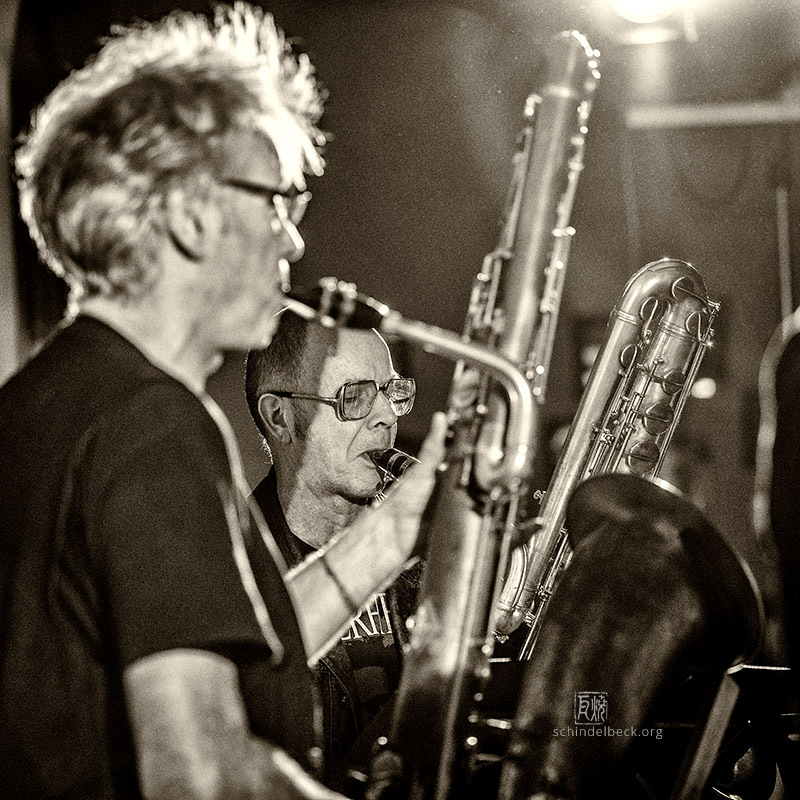 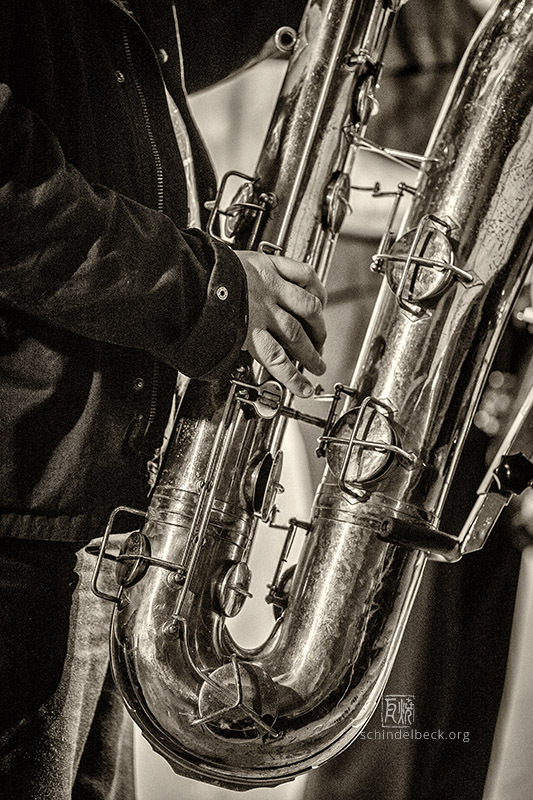 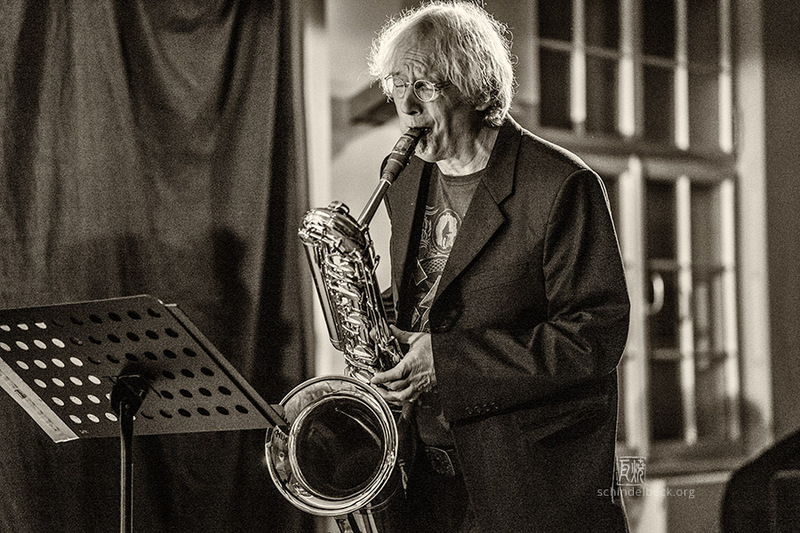 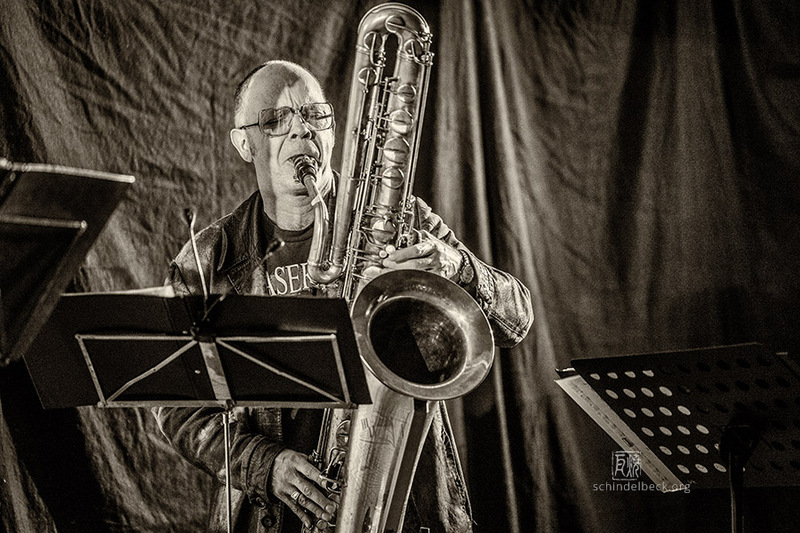 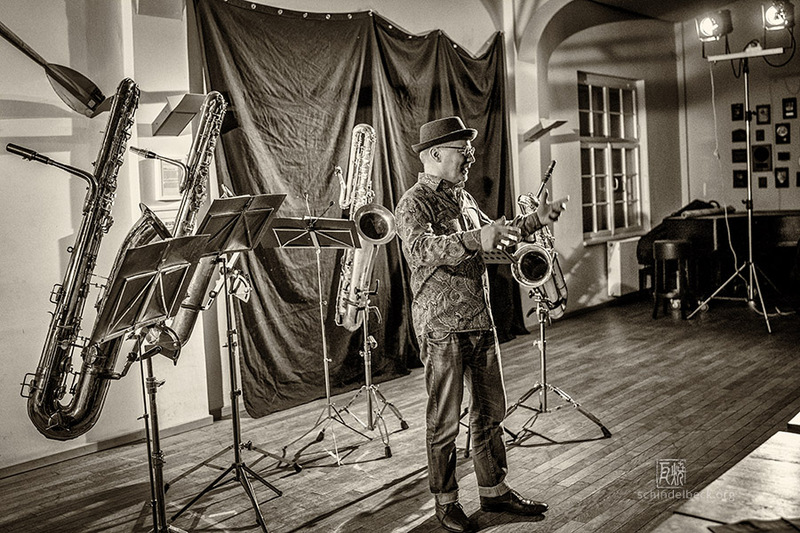 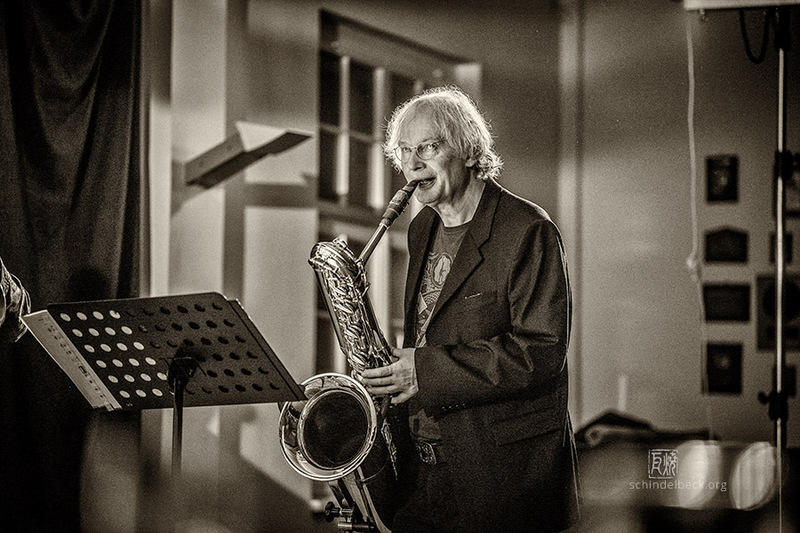 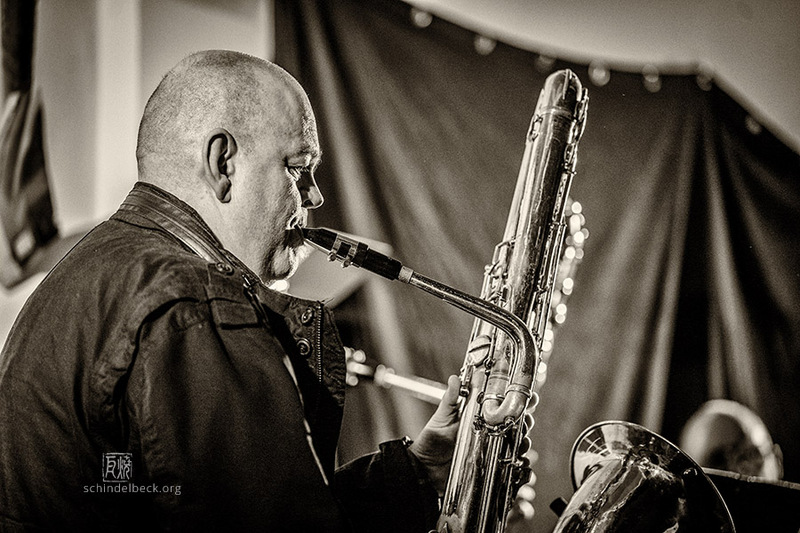 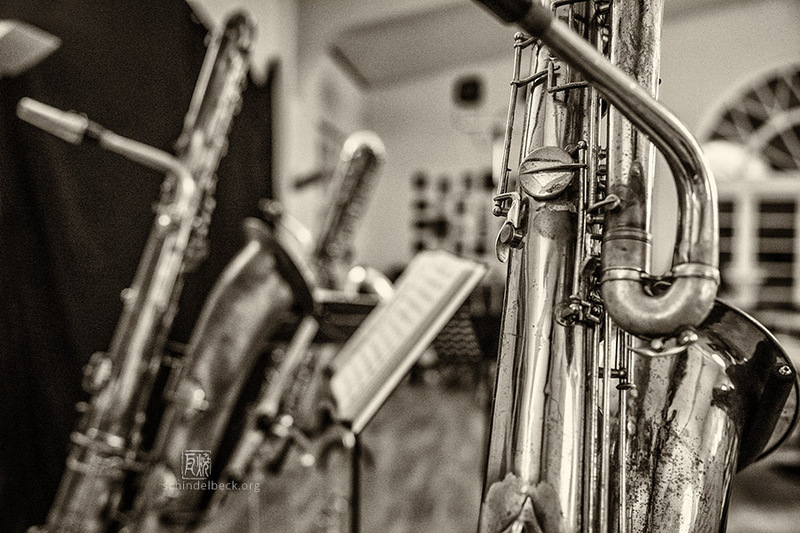 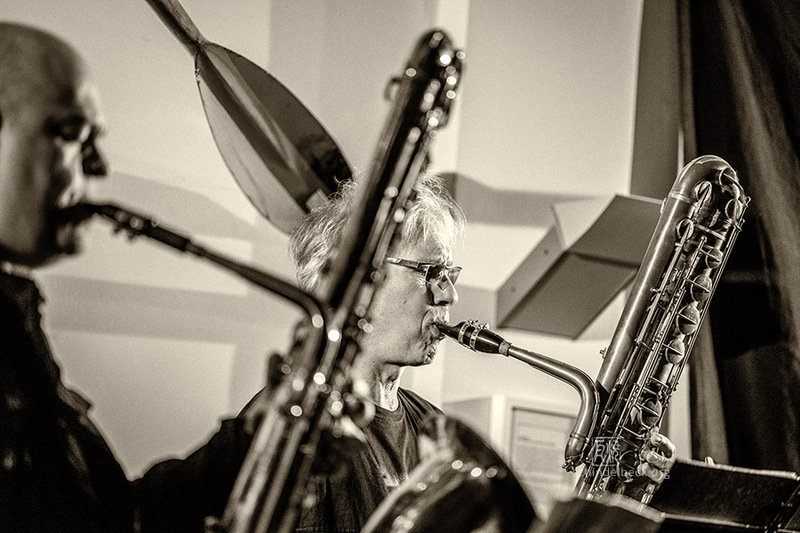 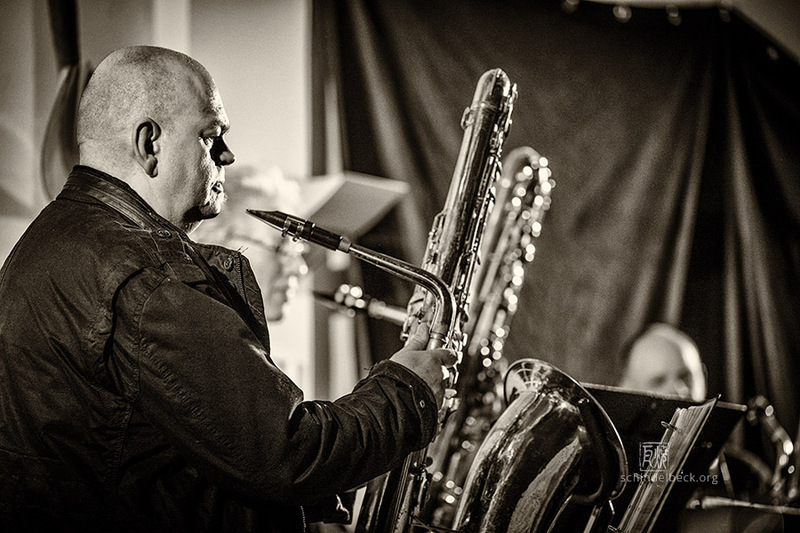 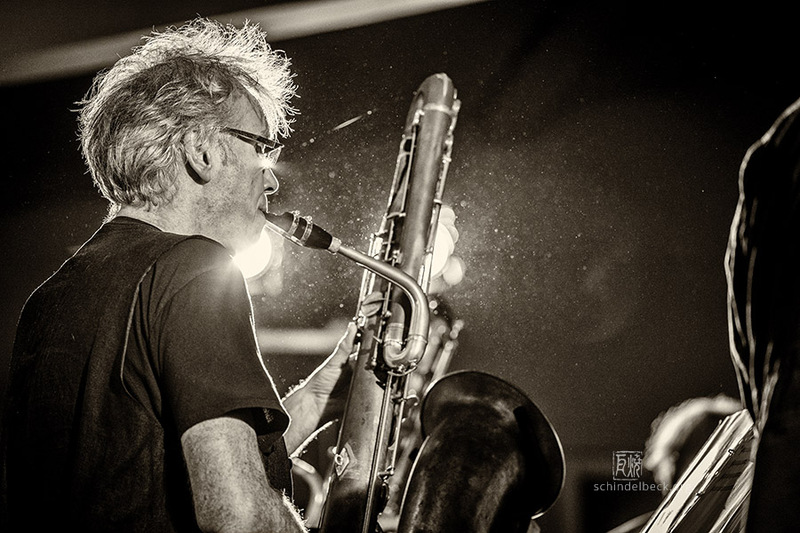 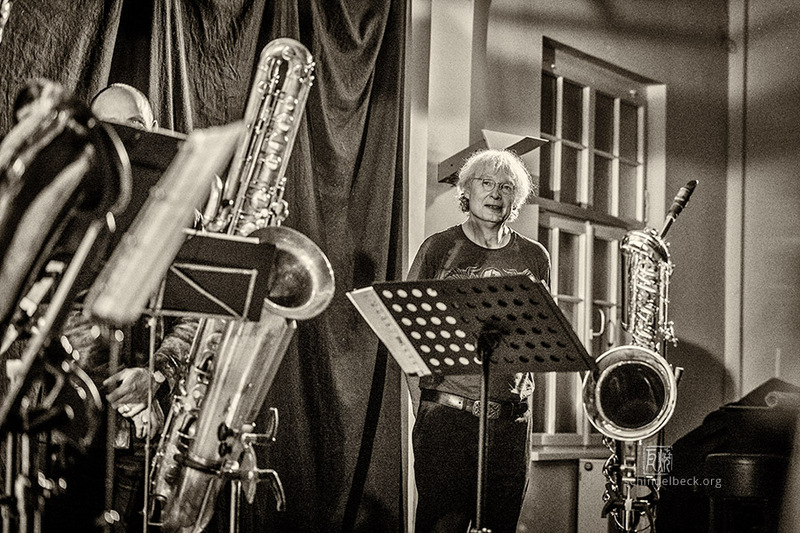 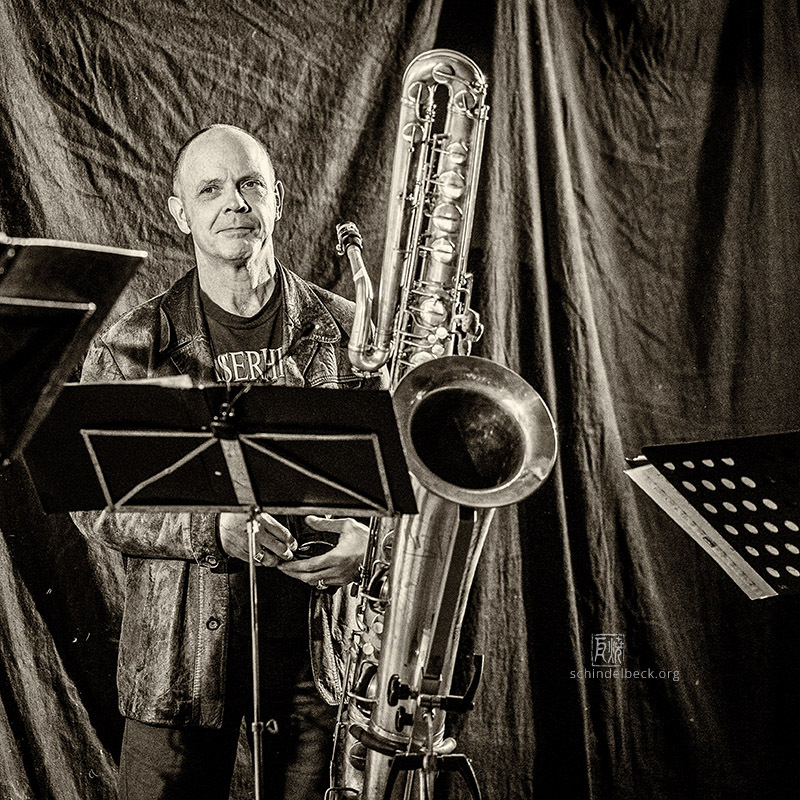 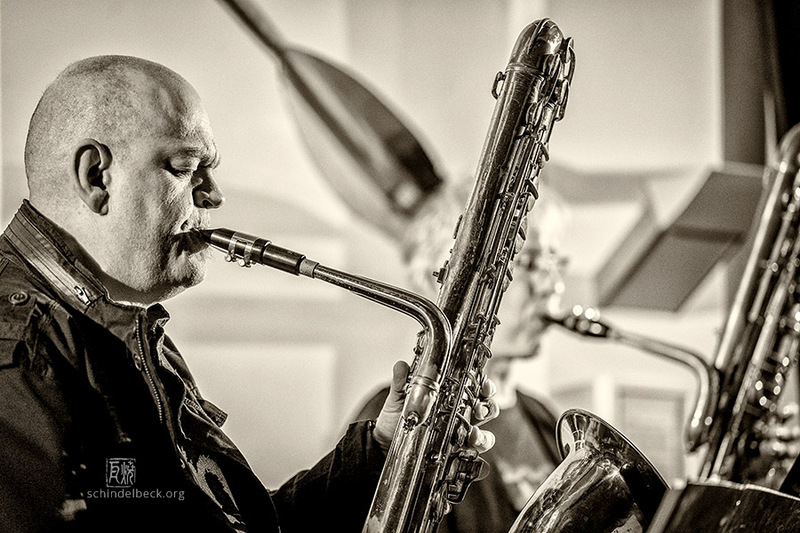 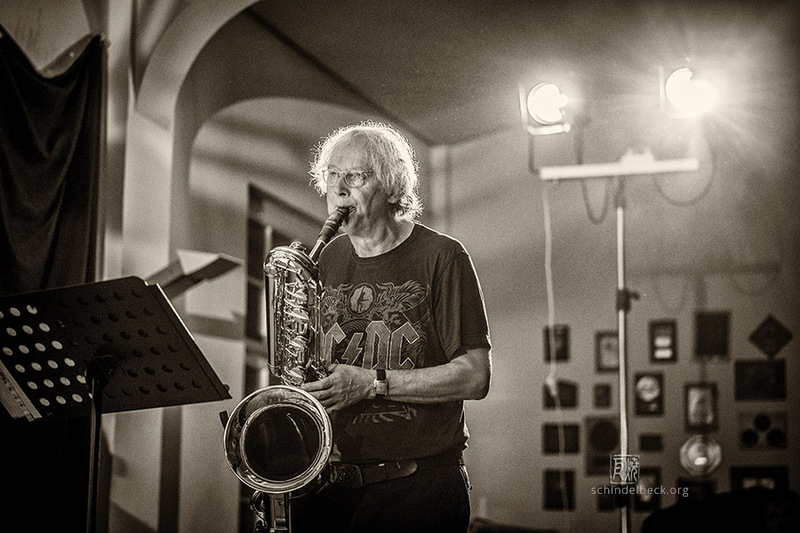 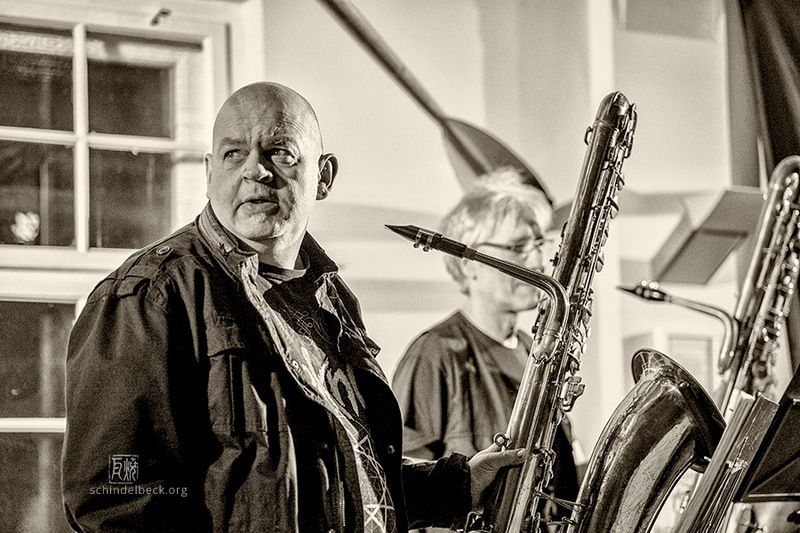 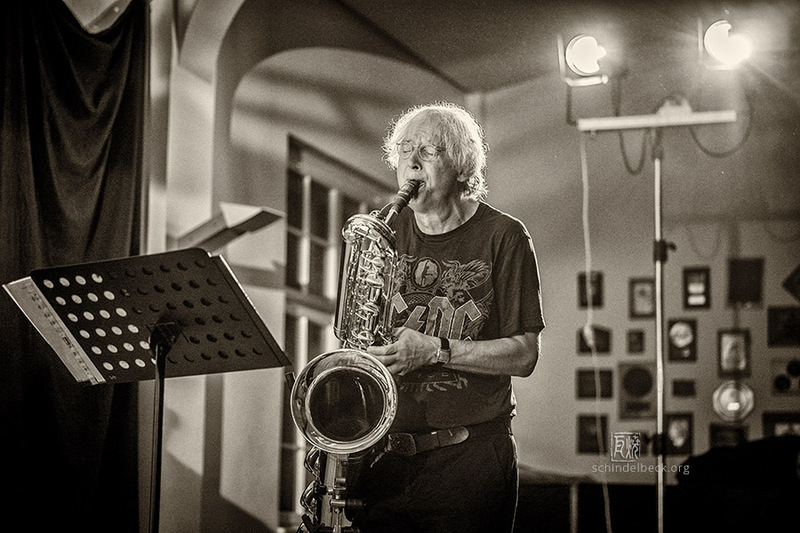 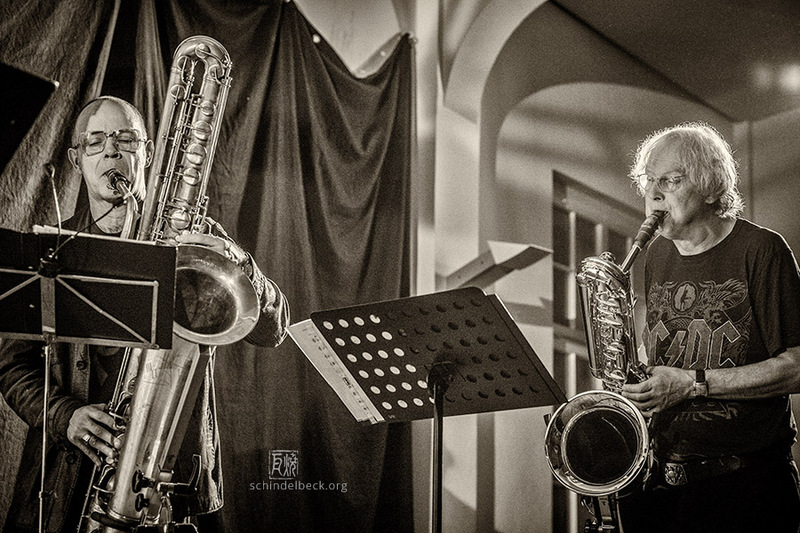 Deep Schrott – an exceptional bass-saxophone quartet with Jan Klare, Andreas Kaling, Dirk Raulf & Wollie Kaiser. 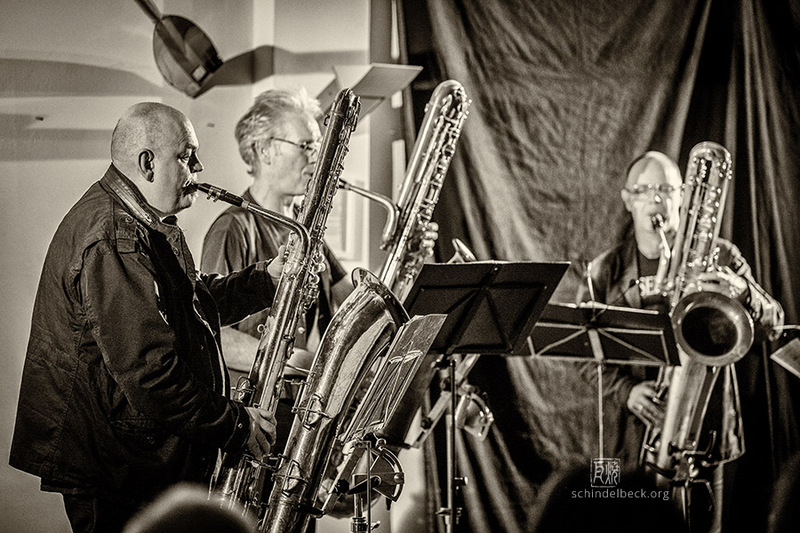 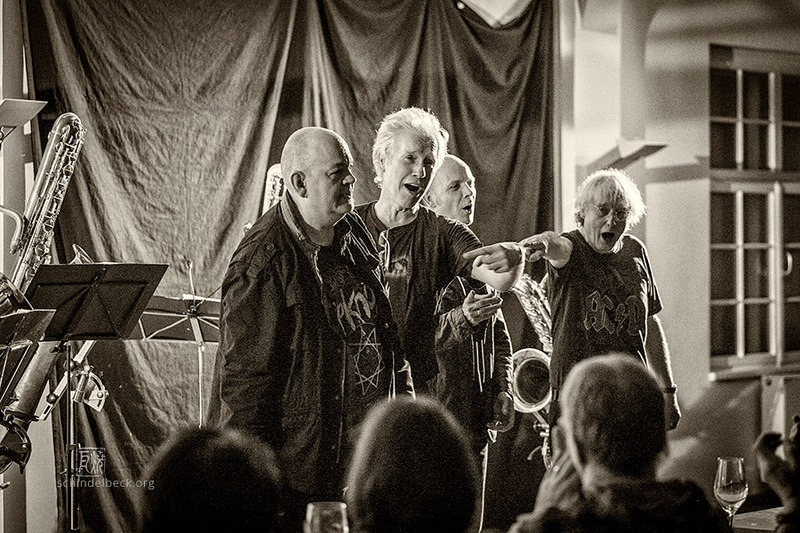 As unusual as their instrumental equipment and their skills on these instruments is the repertoire: Music from Hans Eisler to Black Sabbath (and Dylan, and Pink Floyd, and…). 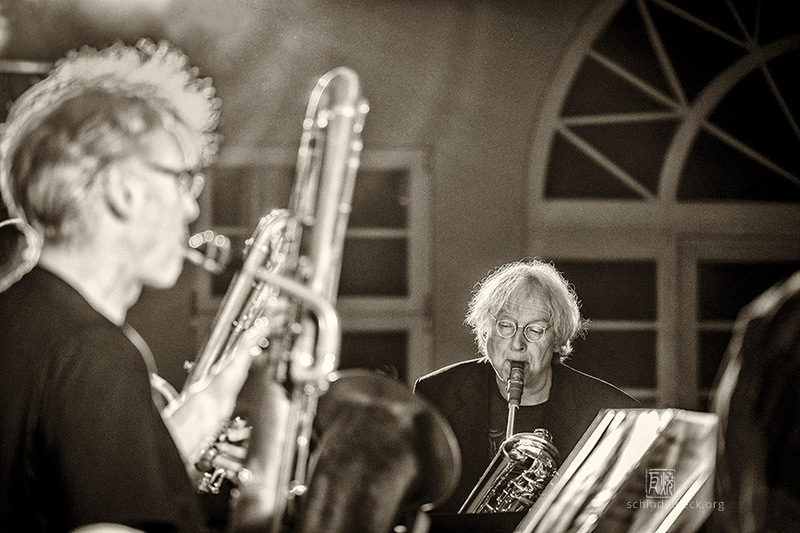 The concert, organised by Jazzarchitect Raimund Knoesche, at Tally’s Restaurant in Wiesbaden was crowded, and the audience delighted.